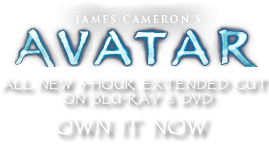 Hellfire Wasp | Pandorapedia: The Official Guide to Pandora | Own AVATAR on Blu-ray & DVD Now! Although humans have not yet been killed by a hellfire wasp, it is common for RDA personnel to be placed on medical leave for several days because of sting. It is believed, however, that a swarm of the wasps will eventually cause a fatality. Taxonomy Magnivespa velox or “fast large wasp”. Habitat Various wasp species have been found in most Pandoran microclimates, including mountain valleys, stream beds, and beaches. Magnivespa velox lives in rainforest and swampland and prefers to build small nests in fallen, rotting trees. Anatomy Hard exoskeleton, compound eyes, bioluminescence, dual stinger. Feeding Ecology Most adults feed on nectar, fruit, and carrion and provide paralyzed insects to their young. Size Up to twenty-eight centimeter wingspan, twenty-eight centimeters from tip of head to tail. Notes Bioluminescence makes them highly visible at night, but they are still fast enough to strike even with advanced warning. Sting is excruciating, but rarely lethal to humans or Na'vi unless attacked by swarm.